Earlier today a coworker, and friend, named Dan Hodgdon, a former Bostonian, posted his thoughts and feelings about the recent tragic events in his former hometown. What he wrote touched me and I felt like it needed to be shared. 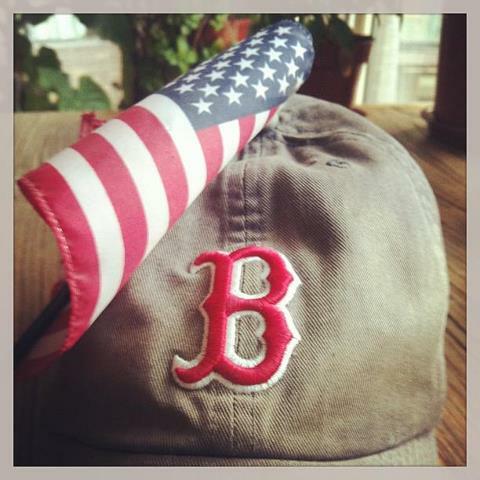 On Monday morning of this week I posted on Facebook, “I always miss Boston the most today. Happy Patriots Day!” It turns out that was eerily prophetic. Now, just over 100 hours later, I can honestly say that since I moved away this is the week that I’ve missed Boston the most – albeit in a much different way from what I meant in that innocent post. Two years ago I packed up and moved from Boston to Memphis to chase a dream of working in motorsports. It was one of the toughest decisions I’ve ever made, but I have no doubt it was the right one. I grew up in Vermont, went to Emerson College, and lived in Boston for a total of about seven and a half years. When I left in the spring of 2011, I just figured it was time to take the plunge and move away. A job opportunity that I simply couldn’t turn down was staring me square in the eye. I figured it might be fate, and I knew I needed to act while I was still young enough. I had no obligations to family or any relationships that I needed to work out. The stars simply aligned, and well, I could always go back. I looked forward to it every year. The one thing I never expected from it was heartbreak. Plus, in addition to my career aspirations, living in Memphis would allow me to see a part of the country I’d always liked and been fascinated by. It would allow me to be immersed in a totally new culture – something that I’d always felt it was important for me to do. I love Memphis. It feels like a home to me, and I’m proud to call myself a Memphian – even if I am one that was transplanted here. Due to their Southern hospitality, the people have embraced a Yankee that talks way too fast. I’ve seen and done lots of things I never would have been able to had I never left New England. My worst fear – that I would miss Boston constantly – hasn’t happened. I can still keep in touch with my friends and I’m able to get most of the games on TV or my laptop. Sure I miss Boston, but I’ve been relieved to find that while I become nostalgic from time to time, I only find it difficult to not physically be in the city for a few events a year. They are things like Opening Day, the Southie St. Patrick’s Day Parade, the first iced coffee of the year in the spring, and the first hot coffee of the year in the fall. But most of all, I always wish I could be there for Patriots’ Day. I’ve found it kind of hard to explain exactly what Patriots’ Day and the Boston Marathon mean to people who have never lived it. I always like to joke that it’s a day to drink and watch other people exercise. The best description I’ve read is that it’s sort of like Mardi Gras for Massachusetts,and especially for Boston. The entire day is about having fun – in whatever form that takes for each citizen. Some of my fondest memories are of getting up early to go the Red Sox game in the morning, watching the runners on the last mile of the Marathon, and ending the day with friends at a bar. There is so much pride for the city and its athletes everywhere you look, all woven into a party atmosphere that is unlike anything I’ve experienced anywhere else. I looked forward to it every year. The one thing I never expected from it was heartbreak. I have no doubt that had I been there, I would have been somewhere along the Marathon route when the bombs went off. In years past I had ventured from Boylston Street to another part of the city by the afternoon, so I’ve been telling myself that I probably wouldn’t have been in the blast vicinity when it happened. But I would’ve been close. One of the beautiful aspects of the day though is the fact that it’s so fluid. You don’t have to have plans. So who’s to really say where I would’ve been? I’m not a terribly religious person, but I’ve prayed a lot this week for the victims, and thanked God that I wasn’t standing at the blast site. I believe that everything happens for a reason, and for whatever reason that might be, I wasn’t there. When a coworker told me the news on Monday afternoon I began a frantic few hours of texting college friends, friends I grew up with, friends that I worked with at Fenway, and friends that I had simply met in my day-to-day life. The more people I contacted, the more I realized I needed to check in with. Thankfully, all were okay. However, one told me that he had passed on going to the Marathon at the last minute, and that he would’ve been standing right where the bombs detonated. At the time he was looking for two people. Unfortunately, one didn’t make it. That’s what hurts the most. As the day wound down and the week wore on I found myself going through an incredible range of emotions. And that’s when I really started to miss Boston. I shared the same feelings as all of the people who were there, yet I was 1200 miles away. I was sad ( I can’t count how many times I’ve had tears in my eyes this week), and I was angry at what these cowards did to my people, my city, and that wonderful day. I was touched by the response of strangers to help their fellow citizens, and by the cooperation the entire populace showed to help make the city safe. I was overcome with pride when the crowd sang the national anthem at the Bruins game on Wednesday evening, and overcome with fear as the manhunt for the bombers lasted from Thursday night into the day on Friday. I exhaled with millions of Bostonian’s when it finally ended. Yet as I shared in the emotions of New Englanders throughout the week, another one crept to the surface. I somehow felt I had bailed on my city and my friends by not being there alongside them. I’ve missed all that Boston is and all it stands for over the last few days. I’ve missed joining in the resilient and fighting spirit of the people, and wish I could’ve been there to see the good and the beauty that can come out of the most horrific situations. I believe that everything happens for a reason, and for whatever reason that might be, I wasn’t there. It sounds simple, or maybe crazy, but I drove across the Mississippi border at lunchtime on Wednesday just to get an iced coffee from Dunkin’ Donuts. Somehow it made me feel closer to home, like I was there with everyone else. I know there are no easy answers. It’s going to take a while to sort all this out, and we may never know the whole story. In talking to my mom tonight she pointed out that hopefully these people will not have lost limbs, and in some cases their lives, in vain. That has to be the case, right? Whenever people ask me where I’m from, I say that I grew up in Vermont and that I went to college and lived in Boston. I was extra proud to say that this week. Each place has an incredibly special spot in my heart, and one is just as much home to me as the other. I was new to Boston once too, but that feels so long ago that I can’t really remember what it was like or the person I was before the city became such a part of me. I know there are tens of thousands of others who feel the same way. So Boston, this is for you. Thank you for letting me go, and I’m sorry I wasn’t there this week. Someday I’ll pay you back. It’s the least I can do. After all, you’re my home. Gallery | This entry was posted in Daily Life and tagged Boston, Boston Marathon, Boston Red Sox, daily life, faith, family, life, news, Patriots Day, Postaweek2013. Bookmark the permalink. One year ago today the Boston Marathon bombings happened and many Americans watched in horror as the event replayed on TV. My friend and co-worker, Dan, reflected on his time spent in Boston. This is what he wrote.